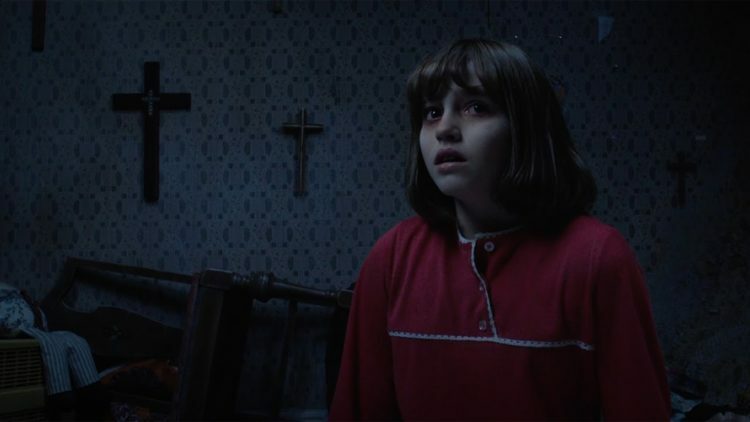 It has been less than a week since ‘The Conjuring 2’ hit movie theatres, but already the spooky sequel has proven to be a box office smash after racking up a $40.4 million opening – the biggest horror opening since the original The Conjuring back in 2013! One of the big reasons why it has proven to be so popular is that it is based on a true and somewhat terrifying tale of the Enfield Haunting! Let’s take a closer look at the story behind the movie. In 1977, single mother Peggy Hodgson was struggling to bring up her 4 children in an unassuming council house in the Enfield area of North London. In August of that year, the two older children – Margaret (13) and Janet (11) began to complain about furniture being moved and knocking sounds heard on their bedroom walls. Peggy called in the local police to investigate only for a constable to be left bewildered when he witnessed a chair sliding across the floor apparently having been pushed by some unseen source. The disturbances began to gain more momentum, garnering more and more attention from the press as they did so. The girls began to claim that toys and other items were being thrown around the house and that they could hear what was described as demonic voices. There were even claims that at one point Janet levitated above her bed. In fact, it was Janet who seemed to bear the brunt of the supernatural occurrences. In one recording made by paranormal investigators Janet appeared to be speaking in a gruff male voice believed to belong to Bill Wilkins – a foul mouthed elderly gentleman who had died in the house years earlier. With the girls making so many wild paranormal claims, it is understandable that not everyone was convinced that there truly was a supernatural force targeting the family. Over the course of around a year a number of paranormal investigators, psychics, researchers, journalists and even a magician came to visit with the Hodgsons in order to determine whether or not this really was a genuine haunting. Among those individuals were, of course, Ed and Lorraine Warren – although their involvement was brief and not as integral to the story as The Conjuring 2 would have us believe. 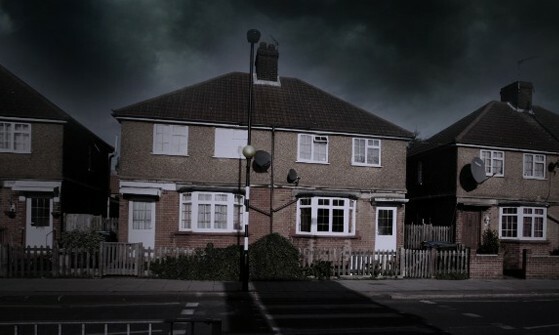 The couple did make a brief visit to Enfield in the summer of 1978, but most accounts of The Enfield Haunting so not even mention The Warrens. So, with so many experts on the scene, did anyone manage to either prove or disprove the haunting? In short – no! In fact, opinion was split as to whether or not the haunting was all an elaborate hoax. The highly respected Society for Psychical Research (SPR) sent a pair of investigators – Maurice Grosse and Guy Lyon Playfair. The pair both believed that there truly was something paranormal at work in the house and both of them claimed to experience phenomena for themselves including toys and clothing being flung around the room. Grosse recalled Janet being subjected to violent possessions and trances and says that he saw furniture move around the room unaided. However, not everyone who came to visit the family were as convinced. In fact, even within the SPR opinion was split. It is said that one SPR investigator actually caught Janet and Margaret bending spoons themselves and others were skeptical of the claims and questions the methods by which some of the so called evidence was gathered. For example, when the recordings were made of Janet speaking in a male voice nobody was allowed to remain in the room. Nevertheless, despite the naysayers there was also plenty of activity that could not be explained away and many credible witnesses were willing to submit sign affidavits detailing what they saw. One of the Hodgson girls during an ghostly episode. Years after the media circus died down Janet admitted that there had been some instances where she and her sister faked some of the activity. This casts doubt on the credibility of their experiences, but Janet remains insistent that it was only on a handful occasions and they only did so to see if the SPR investigators would be able to catch them out. She estimates that only round 2% of the phenomena experienced at the house was faked and the other 98% was genuine activity which to this day she describes as traumatic and terrifying. So Who Was The Enfield Spirit? As mentioned previously, it is widely accepted that the spirit haunting the Enfield property was that of one Bill Watkins, an elderly man who died in the living room. In fact, in one of her trance like states Janet spoke in Bill’s voice and stated ‘Just before I died, I went blind, and then I had an ’aemorrhage and I fell asleep and I died in the chair in the corner downstairs.’ It has been verified that Bill did indeed die in the property and most are willing to admit that there is only a very small likelihood that Janet and her sister had uncovered this information by themselves. Janet later revealed that she and Margaret had been playing with a Ouija Board shortly before the activity flared up and she believes that it was this that stirred up Bill’s spirit. Janet later revealed that she believes things began to settle down after the family called in a priest to bless their home. It was not The Warrens who calmed the spirits as the movie would suggest. However, although the activity subsided, it did not end altogether. 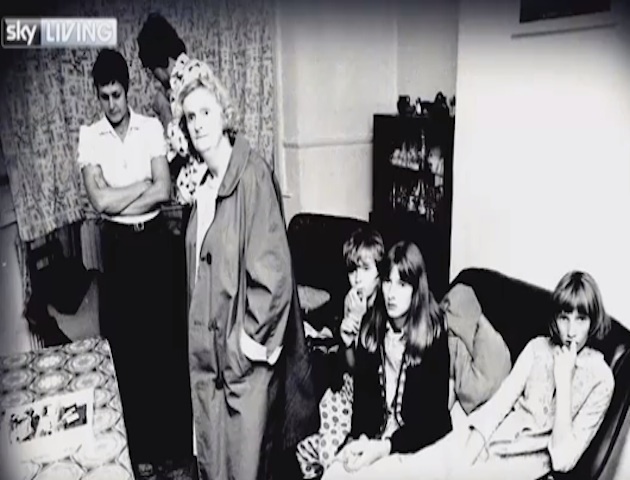 Peggy Hodgson heard noises from time to time up until her death and Janet’s brother Billy who lived there for a short time after their mother’s passing said that he never felt alone – as did the subsequent tenants. The Enfield Haunting certainly makes for an interesting tale and it is one which has gripped fans of the paranormal for almost 4 decades. As is to be expected, The Conjuring 2 has put Hollywood’s own spin on the story and you will see may differences. Janet Hodgson has said that she I not entirely happy about the movie dragging up old memories of a time that she would rather forget.